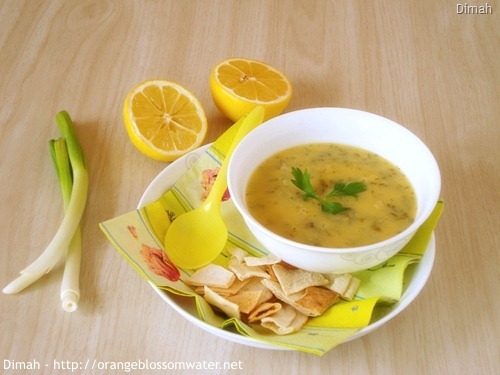 ‘Ades Bi-Husrum is prepared from red lentils, flour, lemon juice or verjuice, parsley, onion and ghee, and served as a main dish with toasted bread. 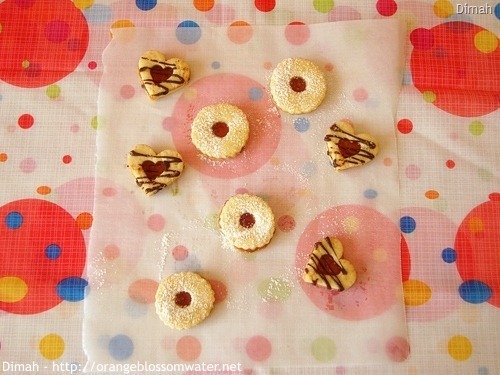 I made these cookies for Eid Al-Adha, they were delicious with hint of lemon and yummy raspberry jam. 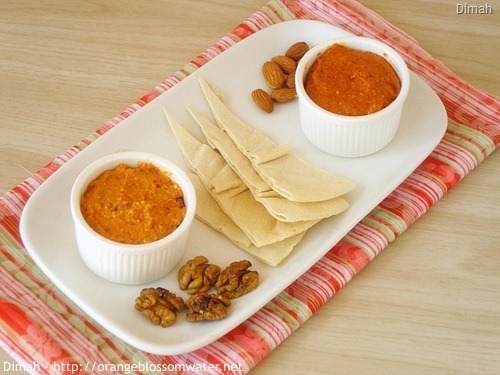 Mhammarah or Muhammara is a red pepper dip originally from Aleppo, Syria. The principal ingredients are usually fresh or dried peppers, walnuts, breadcrumbs, and olive oil. It may also contain garlic, lemon juice, pomegranate molasses, and sometimes spices such as cumin. Mhammarah is eaten as a dip with bread, as a spread for toast, and with lamb kabab, or shish tawook. 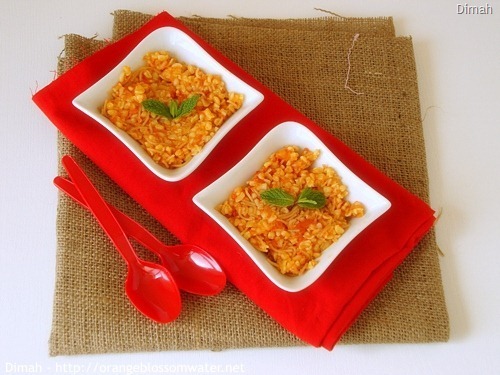 I’ll share two recipes of Mhammarah in this post. 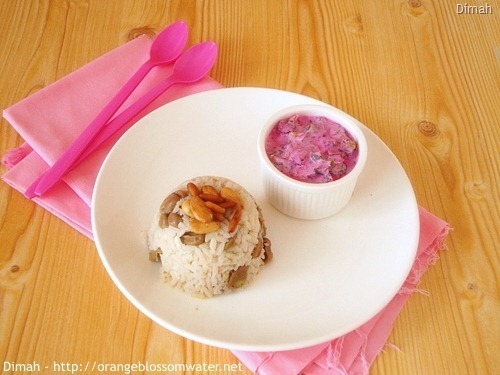 Aruz Bel-Foul is a dish prepared from fava beans, meat and rice. It is served with a salad called “Taiyar Wakhmeh” (turnip pickles salad), this salad is a specialty of Hama, very popular in Spring, and also served with other dishes such as kibbeh, I’ll share the recipe of the salad in this post.